What’s better for wildlife diversity, high-density development or low-density development with lots of lawns? What researchers are learning might surprise you. Q. You research urban landscapes, biodiversity and habitat. Can you explain that, for non-academics? A. I research the number of different species in urban areas. I also look at community composition: What types of species we have in urban areas – for instance, are they native or non-native? Are they closely associated with forests? I also look at the evenness of communities. I try to determine whether, in a group of species, a lot of the individuals are of one species, like a starling or a house sparrow – which a lot of people are familiar with – or if the individuals represent many species, and whether we’ve got healthy populations of many species in an area. I also look at factors that might affect the abundance of individual species, like the barred owl, for instance, in Charlotte. Q. Tell us more about your owl research. A. I did a study of factors that might affect the likelihood of barred owls being hit by vehicles in Charlotte. Owls face a huge risk of getting hit by cars, and that can lead to population decline. We used an archival data set from the Carolina Raptor Center, spanning several decades. We were able to identify three factors that significantly affected the likelihood of a barred owl being hit by a vehicle. The first was vehicle speed. 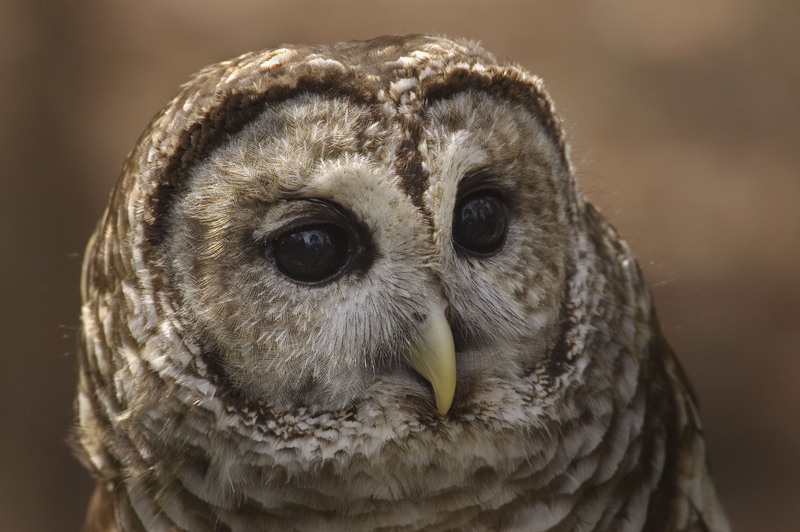 The faster the speed – people driving faster – the more likely a barred owl would be hit. The second was road width. That had a negative effect. The narrower the road the more likely a barred owl and vehicle would collide. The third was the amount of suitable barred owl habitat surrounding a road. That had a positive effect. Basically, the more barred owls in the area, the more likely they’re going to get hit by a vehicle. We distilled this into a practical recommendation to put barred owl road crossing signs, if we can figure out where hotspots of barred owl road mortality are in Charlotte. This would be to try to get drivers to slow down. Q. Have you asked officials yet about putting up the signs? A. Not yet. We figured out the factors that affected barred owl road mortality. The next step is to figure out where those mortalities occurred – the hot spots. The third step would be to put up signs and try to mitigate road mortality in those hot spots and see if our actions make a difference in the likelihood that barred owls are killed and in the number of barred owls killed, and ultimately their population size. Q. Are barred owls in decline in Charlotte? A. According to Partners in Flight, barred owls are not in decline. I believe they’re doing well in Charlotte and they’re doing OK in the state. Barred owls do rather well in Southern cities like Charlotte because we have a lot of large trees, even in neighborhoods that are pretty close to the city center, and we have a lot of streams. Those are two things barred owls really enjoy. Urban areas are also full of potential prey for barred owls, like mice and rabbits. They are able to exploit those features of cities like Charlotte and have breeding populations in pretty urban areas. Q. A few years ago, you looked at different development patterns – high-density versus low-density, for instance – to see which was better for birds that live and breed in forests. Your results might strike some people as counter-intuitive. What did you learn? A. That set of studies compared, for a given area, and for a given number of people, whether it is better for biodiversity if we build high-density development that would occupy a smaller part of that given area – and we wouldn’t have to develop forest and farmland as much – or if we spread everybody out at a lower density, occupying a larger part of the given area but end up with less undeveloped forest and farmland. In that scenario you’d have people with larger yards, maybe more native plants and more trees within residential areas, so that might also be OK for biodiversity. The studies showed that for forest birds and forest ground beetles, the scenario with high-density development over a small area led to higher abundances and species richness. Other research has shown similar results in comparing high-density development over a small area and low-density development over a large area. We need more research like that, not just to figure out what’s best for biodiversity – that’s just one part of a city system – but to figure out what’s best for people – what they prefer, what’s best for their health – and what’s best for other parts of ecosystems such as stream health, forest health. And to clarify, when we say low density over a larger area, it would be houses interspersed with undeveloped forest. It isn’t devoid of forest, but splitting the forest into smaller, disconnected patches and interspersing that with housing and lawns. Q. More recently you’ve been focusing on the differences, in urban ecology, between the spatial arrangement of natural areas and the amount of natural areas. What is the research saying? A. That’s been a central question in my field of landscape ecology for some time: the relative importance of the amount of habitat compared with the spatial configuration of habitat – what is often referred to as fragmentation of habitat. It looks like what’s emerging from research over several decades is that it’s the amount of habitat that really makes a big difference to biodiversity. With more habitat, you’ve got a greater number of species, larger populations of many species and more native species. The spatial configuration of that habitat is much less important. My colleagues and I have built on that knowledge, as well as the research comparing high-density development over a small area to low-density development over a large area. We’ve translated those research results into a landscape design framework meant to be simple and practical so that planners can use it. It’s based on landscape ecological science. It has three ecologically based steps that reflect this relative importance between habitat amount and habitat configuration. The first step is to maximize the amount of unaltered land cover and the number of different types of unaltered land covers – I mean more natural land covers like forests. We still have quite a bit of that in the Charlotte metro region. The second step is to minimize human disturbance in the altered land covers. What that means is to minimize the intensity of human uses in different land uses like commercial, residential or agricultural. For example, in urban areas we would do things like try to increase the amount of vegetation in as many areas as we could. We could have parking lot islands, for instance, and vegetated medians. 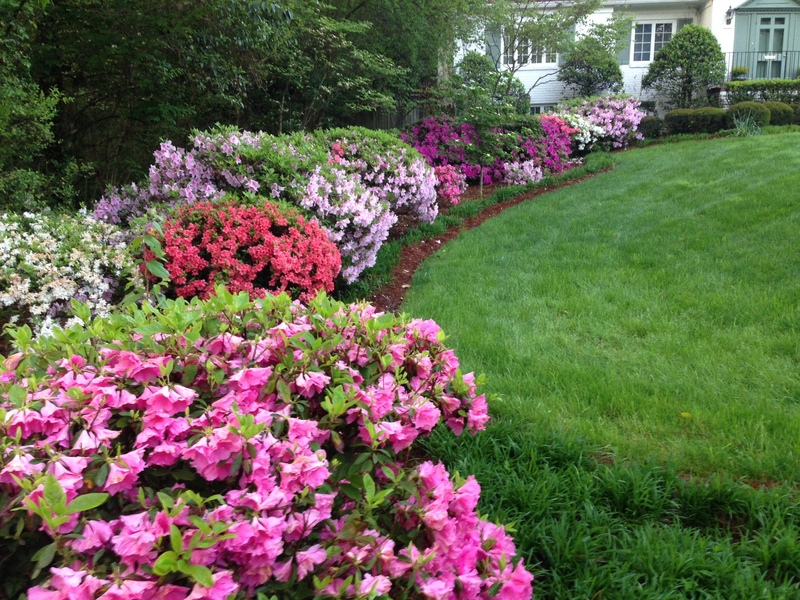 We could have yards not covered by lawns but by a more diverse suite of plants. These things benefit wildlife. We could have less intensive agricultural practices – less plowing, less fertilizer use, more diversity of crops planted. Other examples, suitable for urban areas, would be to limit pesticide use on public and private land, and do things like take public transit to limit pollution from vehicles. These are all potential sources of disturbance or harm to wildlife. The third step, the least important, is to change the spatial configuration of altered land covers – like housing developments, like roads. We should cluster housing development and commercial development as much as possible. We could also do things like bundle roads – placing roads that are highly used all in the same area. Q. In Charlotte, we have a lot of lawns. What kind of ecological habitat is a lawn? A. I’ll preface this by saying I’m an animal ecologist, not a plant ecologist. But from an animal standpoint a lawn is a very homogeneous habitat. Think of yourself as a beetle. You’ve got one species of grass, mowed to the same height, and if you’re a beetle that’s covering a very large area. That’s going to create a distinctive type of habitat, amenable to only a few species. Add to that the use of pesticides and herbicides to maintain lawns. Those chemicals are specifically designed to eliminate species other than grass. What results is a habitat that is home to very few species. A lot of research shows that the diversity of native plants – the number and different types of native plants people plant in their yards – has a big effect on the number of different bird species attracted to yards, the number of different insects including bees, and butterflies. There’s even research that shows biodiversity benefits when you don’t mow your lawn as much or if you let it grow longer. Q. So I have to ask – what’s your lawn like? A. I am off the hook because I have just moved to a new house! I have a relatively diverse set of weeds that is making up what some might call a lawn. But my plan is to add some native trees and plants and get rid of the lawn, in the backyard at least. Q. Talk about the relationships between what plants are in a habitat and how that can affect what animals live there. For example, the relationship between invasive plant species – privet and wisteria and such – and insects and wildlife. A. An example is kudzu. 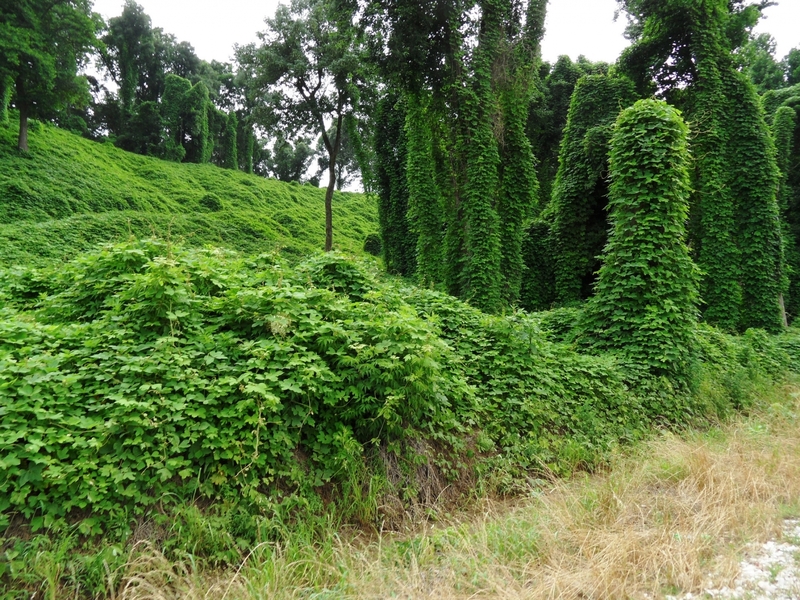 Kudzu was introduced to the U.S. to deal with erosion about 100 years ago. I’m sure people have seen trees in Charlotte completely overtaken by kudzu. Think of all the birds and insects that might have used the trees as habitat, to feed and to nest in, that can no longer do so because those trees are covered by kudzu and probably dead or dying. A big part of the problem with invasive species is that they change the structure of habitat for animals – they change the availability of resources. Some animals might benefit, and some might be disadvantaged. Q. Some species are leaving the city, such as barn owls and chimney swifts. At the same time we’re seeing more of some wildlife like deer, raccoons, even coyotes. Do the barn owls, for instance, just go live somewhere else or is it a problem that species are disappearing from our city? A. In my opinion we should worry. In a lot of cases, like the case of the chimney swift, when species are disappearing from cities they are not going elsewhere. They’re dying off. I would add that when species like the chimney swift are disappearing from cities, that’s an indication that the health of our environment may be suffering. That is something we should pay attention to and take seriously. Several species, like coyotes, raccoons and possums, do well in cities. But people should recognize that those species, even though they’re very visible to us, there are not that many of them. So seeing them doesn’t mean we’re not losing a lot of other species, like forest birds, in the Charlotte metropolitan region.